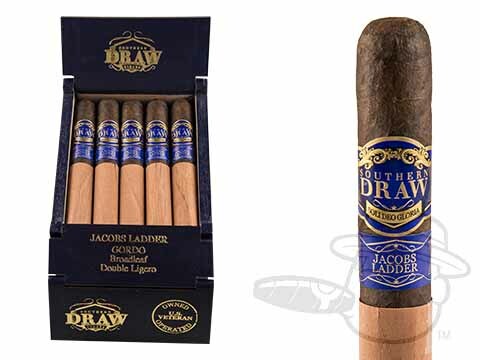 Rich and chocolaty with a spot-on medium body, Jacob’s Ladder by Southern Draw cigars builds in awesome flavor and intensity with each puff. 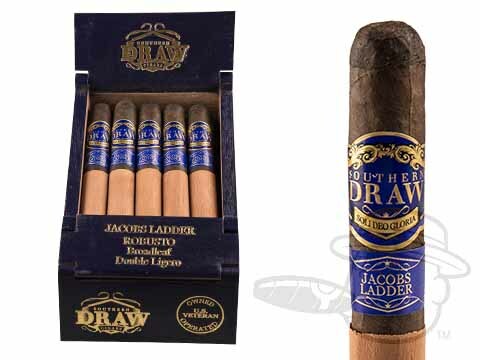 A rarely-used Pennsylvania Lancaster 401 Broadleaf wrapper around a mix of fine Nicaraguan ligero long leaves from Jalapa & Esteli culminate in an explosively tasty profile with notes of black cherry, cashew, espresso, molasses, black pepper and more to keep your palate entertained from start to finish. 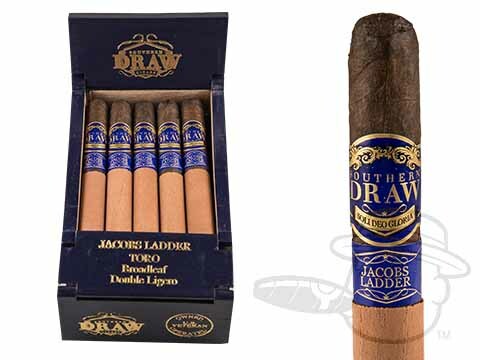 And, because each Jacob’s Ladder cigar is handmade at A.J. Fernandez’s factory in Esteli, you can also count on a flawless burn and draw performance in each stick. Need I go on? Grab ‘em now and let the flavor celebration commence.